ElectroMech and Hyster- Yale have entered an agreement for the sales and service of the Yale and Utilev brand of forklifts and lift trucks in India. Yale is one of the oldest lift truck manufacturers in the world and is globally recognised as a leading manufacturer of material handling systems for over 140 years. 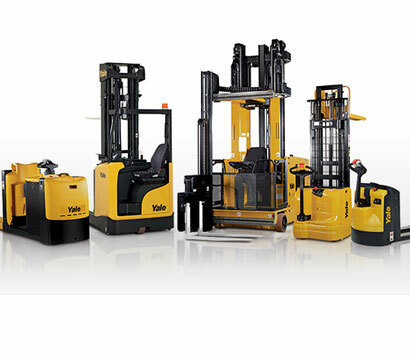 Yale provides dependable forklifts and warehousing solutions globally. 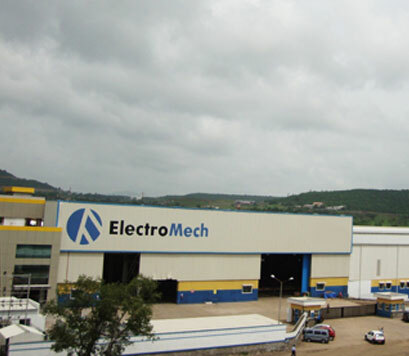 ElectroMech is India’s largest EOT crane manufacturer and the category leader with over 40years of experience in the field. It is well known for providing the most efficient and reliable material handling solutions in various industry verticals across the world. Over 6500 ElectroMech crane solutions are performing in around 55 countries. With world class designing and manufacturing expertise and unmatched post sales support, ElectroMech empowers industries in enhancing their productivity while ensuring a high level of workplace safety. The ElectroMech - Yale association benefits from the leadership position of ElectroMech in the Indian market and dependable service support under the aegis of its group company - Cranedge. It is further bolstered by the global technologies from Hyster- Yale. Established in 1979, ElectroMech is the largest manufacturer of industrial overhead cranes in India and among the top 10 in Asia. Our customers advocate ElectroMech as a solution provider they can count on every single time. Efficient, trusted solutions and commitment have made customers come back to us time and again. ElectroMech has developed the skill to combine design, engineering and process requirements for a myriad of industries and geographies. In our 40 years of existence, we have supplied over 6500 cranes worldwide for practically every industrial application. We are extremely proud of our contribution to the economic development - in real sense! Our strong engineering backbone is supported by an equally capable manufacturing facility. Our engineering team of 30+ design engineers is in constant pursuit of innovative solutions that can improve the productivity of our customers. Our state-of-the-art manufacturing plant in Pune is one of the largest EOT crane manufacturing facilities in India, capable of delivering 1500 cranes annually adhering to international standards, HSE and quality assurance practices. It is spread over 85,000 sqm with a covered area of 20,000 sqm and can accommodate cranes of various types and sizes. An array of products and solutions like Overhead Cranes, Gantry Cranes, Stacker Cranes, Workshop Cranes, Explosion Protected Hoists & Cranes, Pneumatic and Hydraulic Hoists, Metal Production Cranes, Coker Cranes, Process Cranes, Port Cranes, Tower Cranes & Construction Hoists, Forklift & Lift trucks, Rollers, Pushers and Push-Pull & Manoeuvre in partnership with globally renowned manufacturers makes ElectroMech a one stop shop for all your material handling needs. We believe in going the extra mile. Our wholly owned subsidiary Cranedge caters to the service and after sales requirements of the industry. Yale Material Handling Corporation has over 140 years global experience and strong representation at over 30 locations throughout the Asia-Pacific region. It is part of the Hyster-Yale Group,one of the largest producers of lift trucks worldwide. Yale provides a full line of high-quality, high-performance lift trucks including electric, gas, LPG and diesel powered lift trucks; narrow aisle, very narrow aisle and motorized hand trucks. Its long history of innovation has included introduction of the industry’s first battery powered low lift platform truck, the first fluid coupling transmission and the first hypoid drive axle. As a result, Yale has an extensive product range from 1,000kg capacity warehouse trucks to heavy-duty internal combustion-driven models that can handle up to a 16,000kg load. These products provide the muscle for over 600 end-user applications in more than 600 diverse industries.